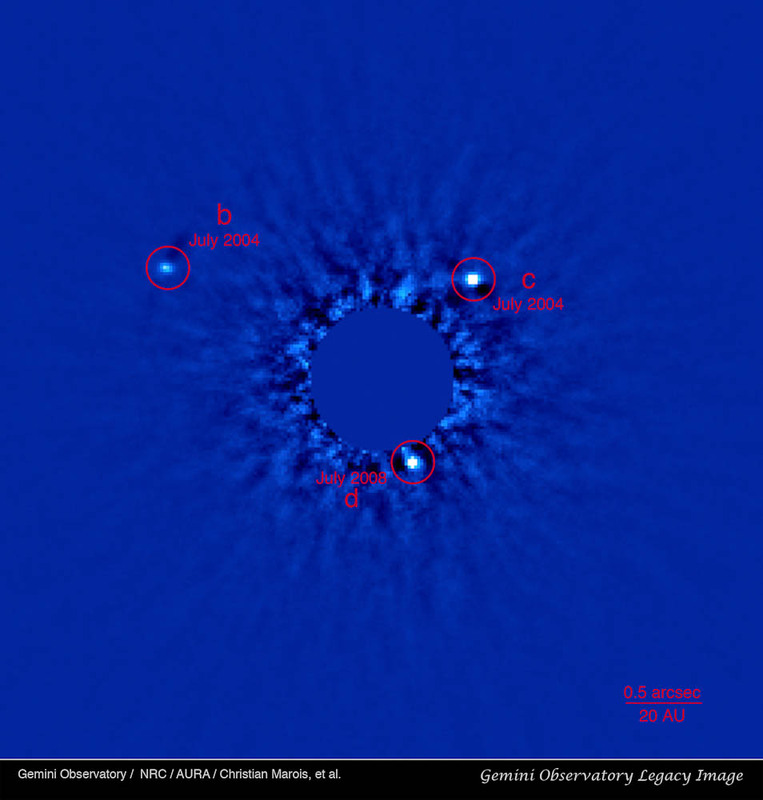 Gemini Observatory discovery image using the Altair adaptive optics system on the Gemini North telescope with the Near-Infrared Imager (NIRI). 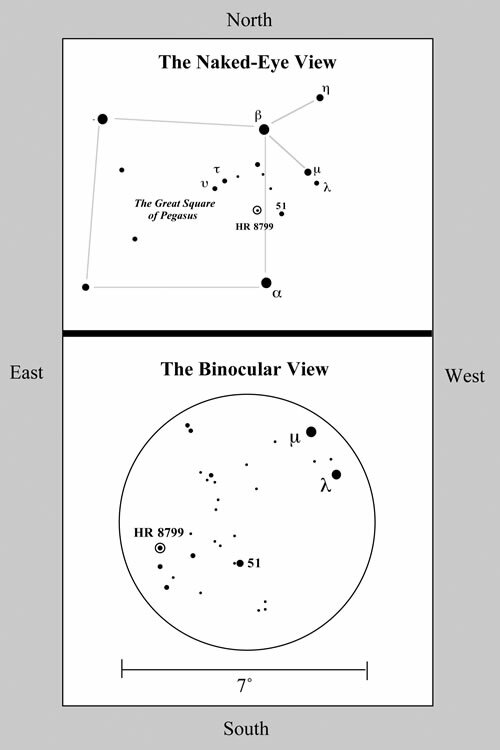 Image shows two of the three confirmed planets indicated as "b"and "c" on the image above. 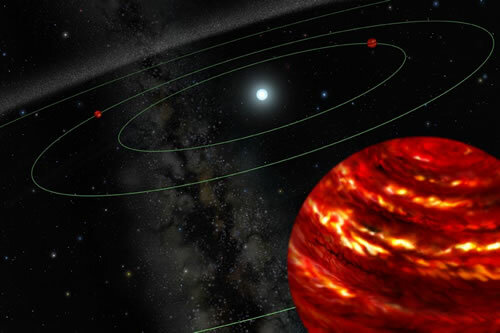 "b" is the ~7 Jupiter-mass planet orbiting at about 70 AU, "c" is the ~10 Jupiter-mass planet orbiting the star at about 40 AU. Due to the brightness of the central star, it has been blocked and appears blank in this image to increase visibility of the planets. 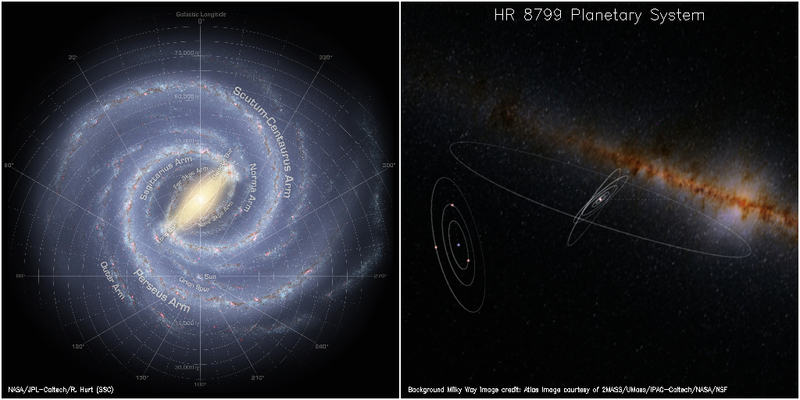 Artist's visualization showing the location of HR 8799 in the Milky Way. Location of Pegasus from mid-northern latitudes in the early evening in November. 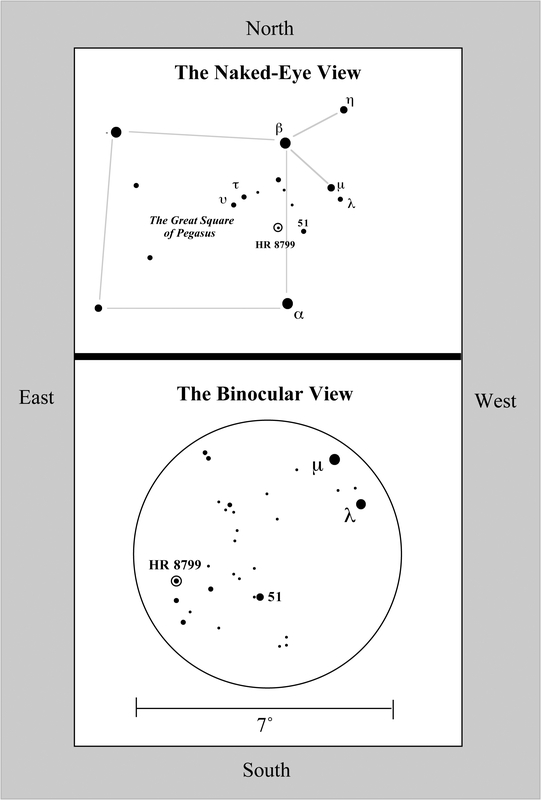 See locator maps below for details on finding HR 8799 with the naked eye or binoculars. 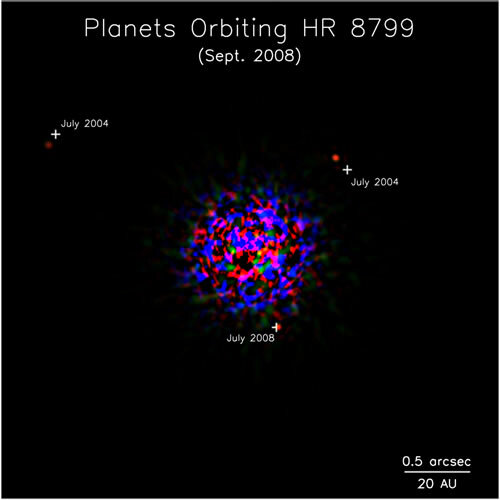 Binocular view of the field surrounding HR 8799. 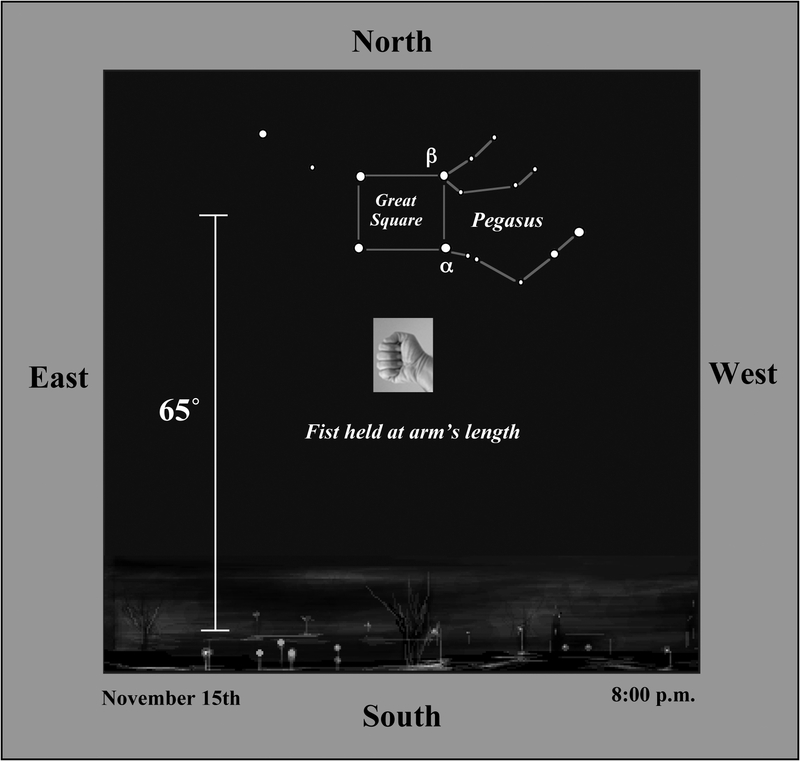 Download the full-resolution version for wider, naked-eye view. 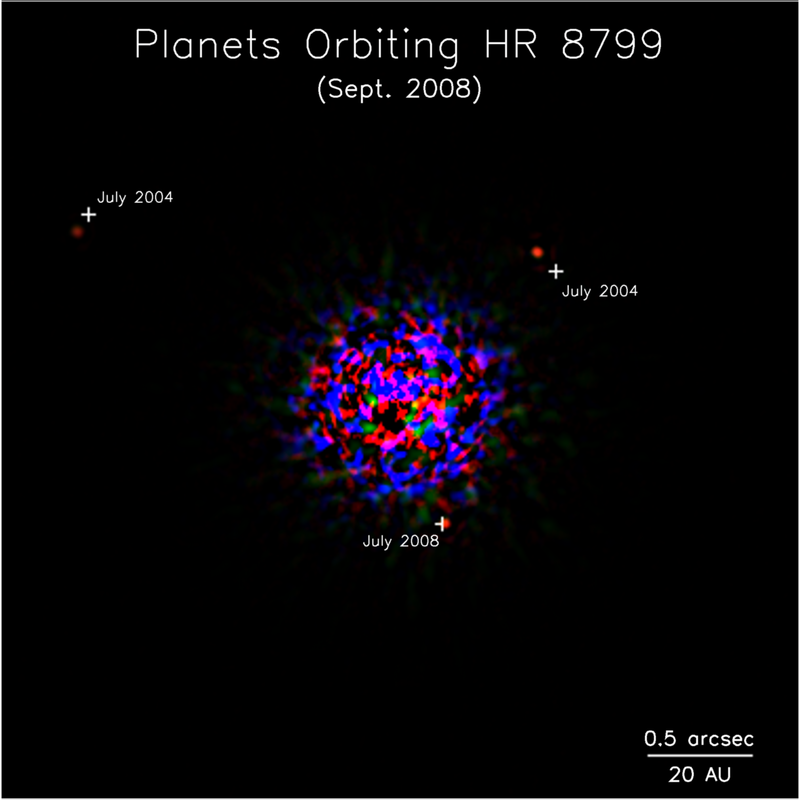 Keck II follow-up image of planetary system HR 8799 showing all three planets.